If you want to party like they do in Osaka, this bar-hopping tour is perfect for you. Your local guide will take you to hidden bars that tourists often miss. If you don’t speak Japanese, don’t let language barriers get in your way. Your guide will help explain the menus, and order for you. 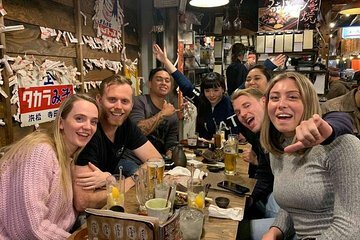 This is a fun tour for friends or couples, and makes a great start to a night out in Osaka.